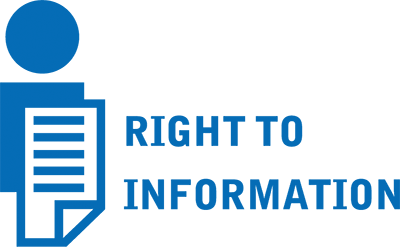 Law Web: Whether information under RTI can be denied on ground that alternate remedy is available? Whether information under RTI can be denied on ground that alternate remedy is available? of the Acts of similar nature and would make such acts otiose and nugatory. of this Court (cited supra). copies of the documents claimed by the petitioner in his application. in this petition assailing the order passed by the respondents. cannot draw any support from the provisions of the RTI Act. (ii) CBSC v. Aditya Bandopadhyay [(2011) 8 SCC 497]. information. It has also emphasized the fact that the provisions of R.T.I. High Court has recognized the overriding effect of Section 22 of the RTI Act. provisions of the RTI Act. 2012 SCC OnLine Del 3263 in the matter of Registrar of Companies & Ors v.
& CPIO, F. No.CIC/AT/A/2007/00112, the Central Information Commissioner Sh. of office of any public authority.? provisions of the RTI Act to access the same?? the application under General Act, namely, RTI Act. (2013) 5 MLJ 385 in the matter of Registrar General, High Court of Madras v.
High Court to provide the information sought by the petitioner therein. legislature, in the considered opinion of this Court. Nadu Information Commission, Chennai ? 18 and sets aside the same. Consequently, the writ petition succeeds.? devoid of merits. There shall be no order as to costs.